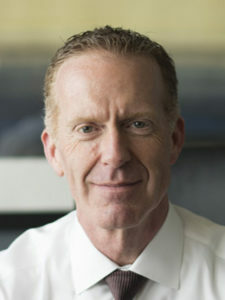 Scott practices law and is the founder and principal attorney of California-based Scott Cole & Associates. He has represented countless victims in air pollution litigation, and today, leads class actions addressing workers’ and consumers’ rights on both a state and national level. He has authored numerous articles, is a frequent guest lecturer to legal professionals, and is well-recognized as an expert in plaintiff-side class action litigation. He is happily married to his wife, Diana, and lives with their three children, three dogs and various other creatures in Northern California. Born in San Pablo, California, Scott has called the Bay Area his home ever since. He attended San Francisco State University, earning a degree in Speech Communications, and then his law degree in 1992 from the University of San Francisco. An entrepreneur at heart, Scott started his law practice right out of law school, applying a “leap before looking” style that has served him well in his career, and in life, ever since. Indeed, the book “Fallout” is a testament to the potential of what one person can do with this approach. Today, Scott’s firm is a powerhouse boutique in the area of class action litigation but his personal vision for representing “the little guy” is still as strong as when he lived the experiences depicted in Fallout. He is currently contemplating his next literary venture.